Another new feature I thought I’d explore–since I haven’t had time for long-form reviews, how about some brief updates on recent reads? I’m still doing spiritual reading, and read a couple interesting ones in the last few weeks. 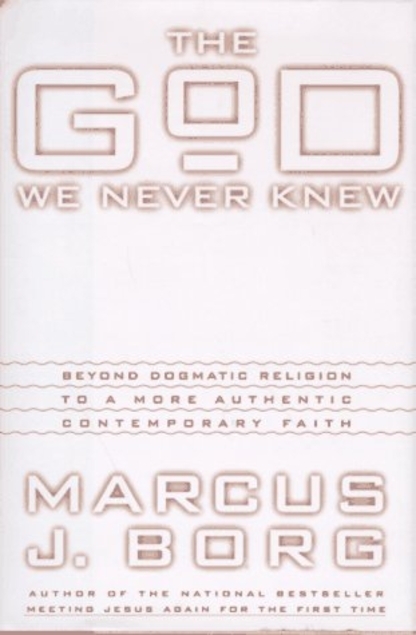 The God We Never Knew by Marcus Borg – I actually wanted to read Meeting Jesus Again for the First Time, recommended by Nadia Bolz-Weber, but this was the Borg book my library had. And it was interesting! The fundamental premise, as I took it, was that there are two ways to think about God: as a supernatural being out there somewhere, or as a transcendent spirit who is all around us. The first concept has dominated to large extent, while Borg makes a compelling case for both the spiritual power and the Biblical basis of the second. I found Borg to have a lot of interesting ideas, though he could get academic at times in his language. He was less revelatory and more validating for me, but I come from a Franciscan tradition within Catholicism, and I feel like I’d already been exposed to a lot of these ideas. He’s right that they’re not always mainstream, though, and I appreciated an eloquent exploration of them that, as I said, was validating. 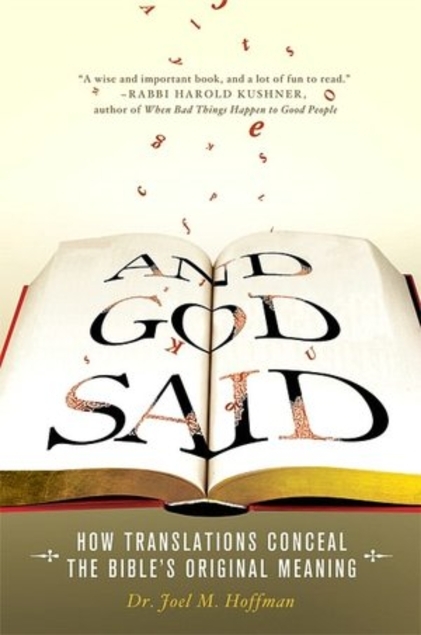 And God Said: How Translations Conceal the Bible’s Original Meaning by Dr. Joel M. Hoffman – I found this one on my library’s bookshelf and picked up on a whim, curious about that slightly provocative title. Plus it was blurbed by Rabbi Harold Kushner. Well, after reading, the good news seems to be that the title was an exaggeration. Hoffman goes into extensive (sometimes too extensive) detail about how to achieve an accurate translation, with a lot of emphasis on looking at specific words as they’re used in context, and comparing multiple uses to build a full picture. He spends the second half of the book looking at specific examples, most of which he says are dramatic mistranslations but…I don’t know, I didn’t think so! I’ve always known (in the time I was thinking about Biblical interpretation, anyway), that the English Bible I’m reading is a translation of Ancient Hebrew or Greek, and (in the case of New Testament dialogue), the original writing was a translation of spoken Ancient Aramaic. And it all contains cultural references of a people who lived a minimum of two-thousand years ago, in a different kind of society. So yes, of course some nuances are going to be lost or unclear, and trying to uncover those original concepts is fascinating and enriches the interpretation. But concluding that ancient Israelites thought shepherds were more heroic than we do today doesn’t really make “The Lord is my shepherd” a poor translation. Most of his other points were similar, and some mattered a lot less. So I walked away from it concluding that, based on the half-dozen examples from a scholar trying to find mistranslations, the Bible is actually translated pretty accurately! Another interesting, although slightly dated (1974) book on Bible translation is From God to Us by Norman Geisler and William Nix. It’s really interesting to read about how we ended up with the Bible in its current basic form, and why certain books were accepted, while others are not (i.e. Gospel of Thomas). It’s definitely a nonfiction text in that it can be dry at times, but it’s worth reading if you’re interested in the topic. Great to see you doing some reviews again. I missed those! 🙂 Regarding the book about Biblical translations, I do find it interesting how many similar, yet different, interpretations there can be for the same Bible verses. The Good News Bible sounds way different from the King James Bible. As long as the central meaning of the text is honored, though, I don’t see a problem with slight variations. I think making the Bible more readable for modern readers (myself included!) can only be a good thing and encourage more interaction with its sacred texts.